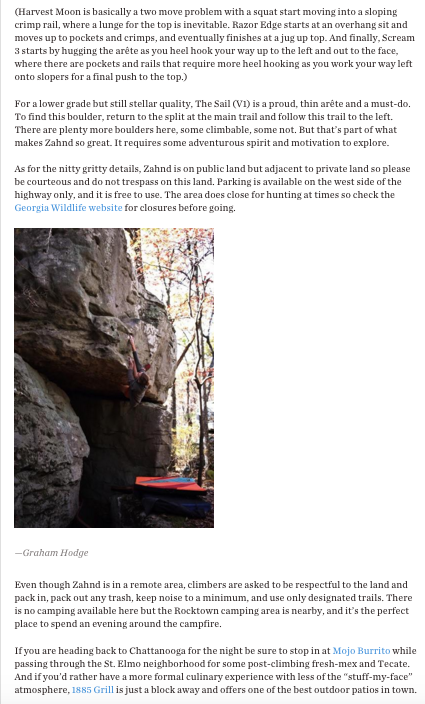 Writing examples (SEO blog content) can be found for Deer Run Media via their Medium Page which is largely contributed and managed by me. 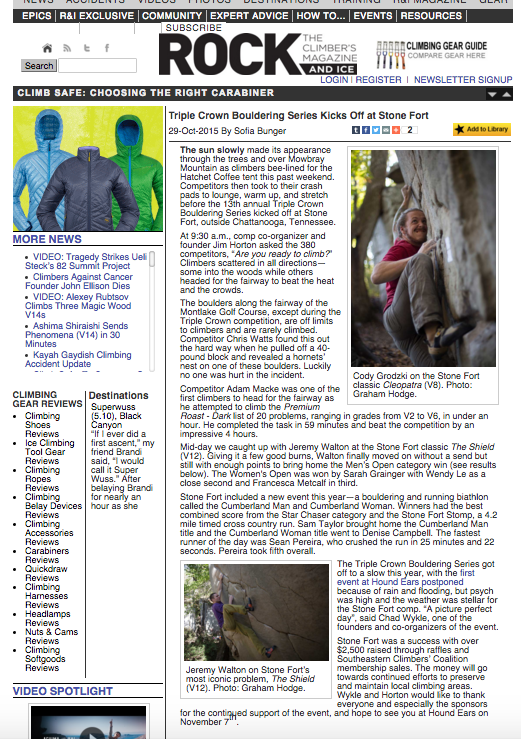 Click here to view the cohesive social media presence I've been putting together for Deer Run. It's already gained them 100+ followers in the past few months. Click here to view the Scout page I've managed for the past two years. Most content is by me, curated from user generated content, or organized collaborations with photographers. 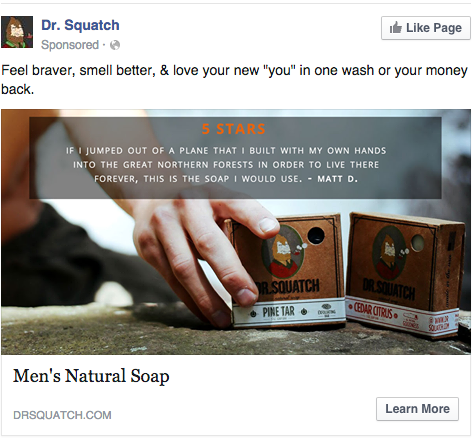 Efforts have brought nation wide attention to the store and grown followers to over 2,000. I produced several images such as this one as part of the Thru-Hike Syndicate Program. Story written for Roots Rated. 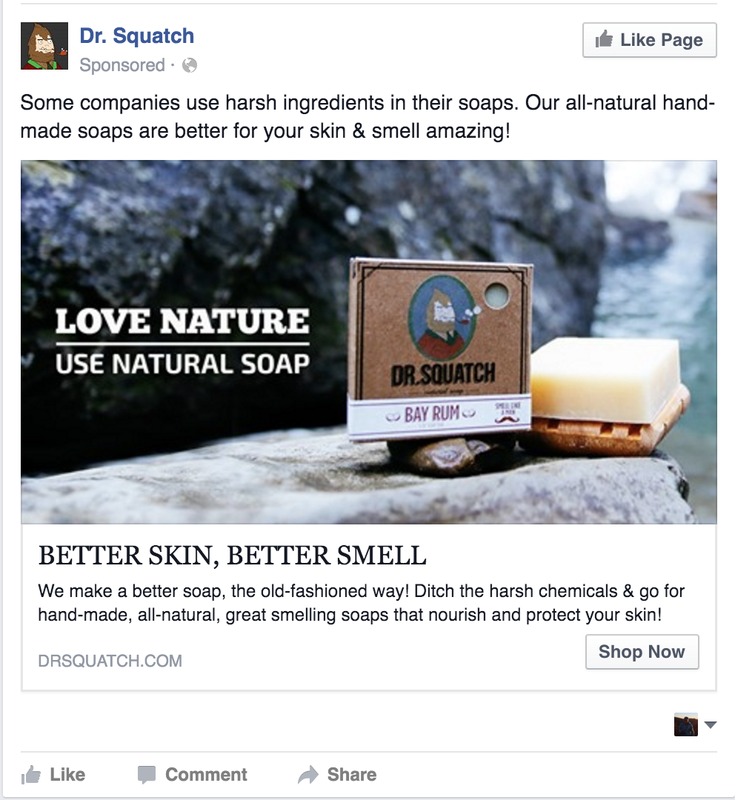 Blog content for Dalman Supply Co. 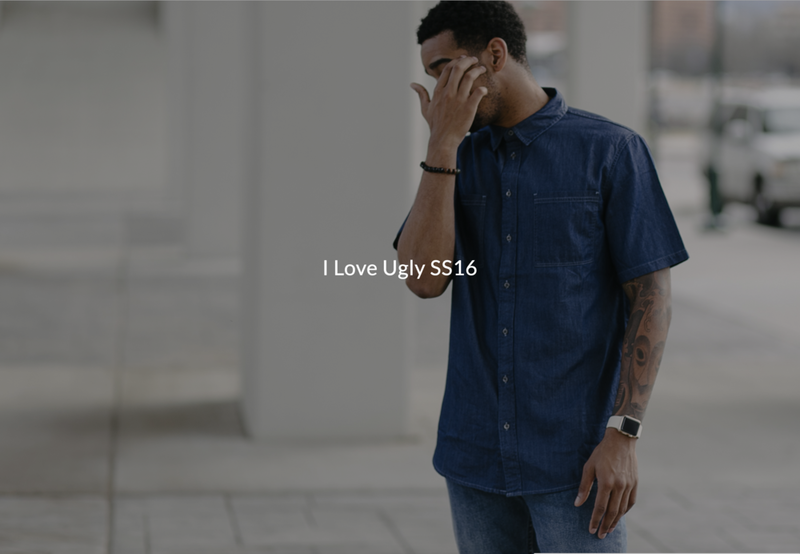 I Love Ugly look book for The Scout Boutique. 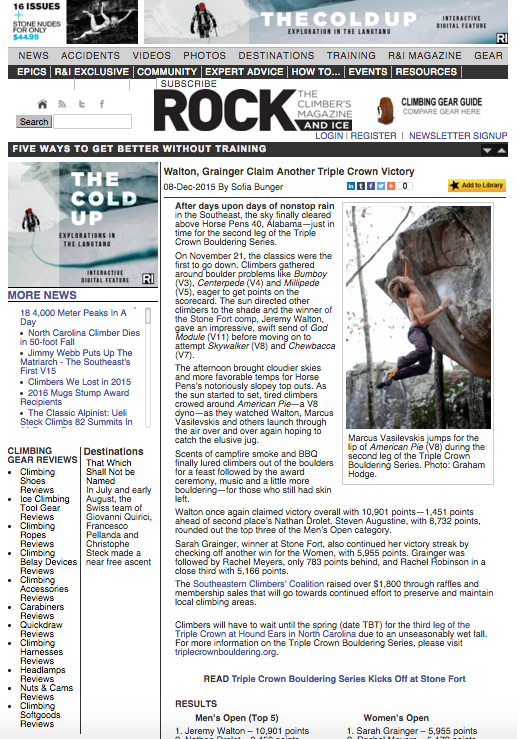 Coverage of the Triple Crown Bouldering Series for Rock and Ice Magazine. 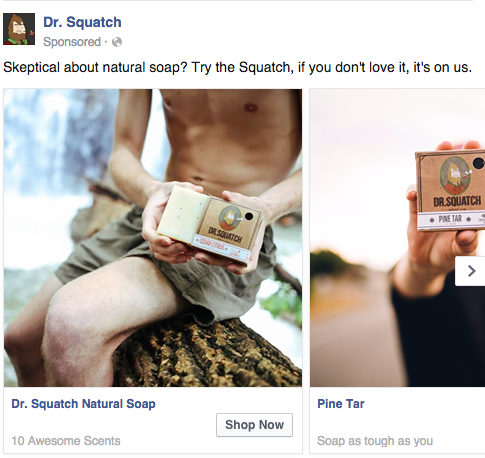 Photos used in social media marketing campaigns for Dr. Squatch Soap Co. 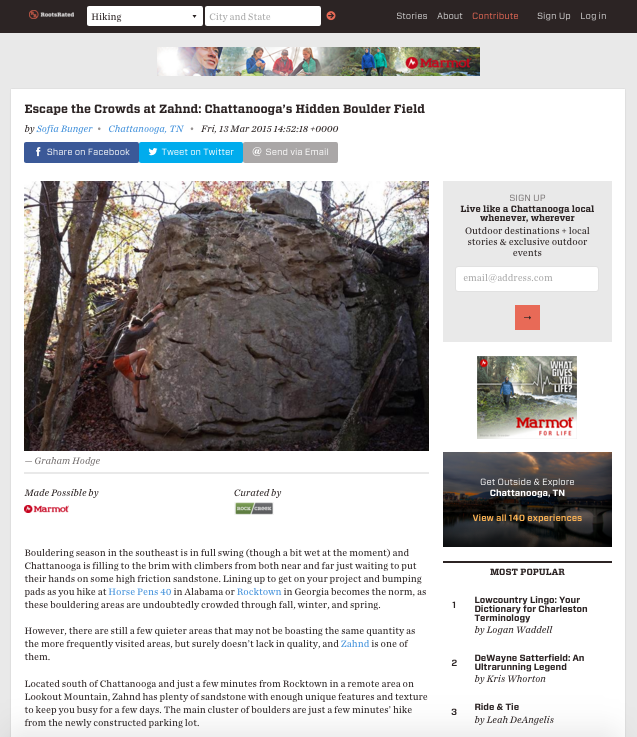 I am working with RootsRated to provide photos to support articles and destination reviews.